Tajikistan ranked 7th place among top 20 adventure travel destinations in the rating of the International organization “British Backpacker Society”. 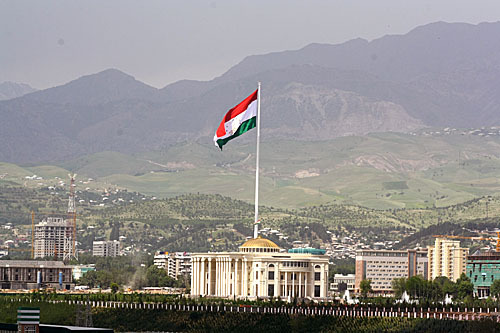 NIAT “Khovar” has been reported by the Committee on Tourism Development of the Republic of Tajikistan. The top 5 includes Pakistan, Russia, India, Turkey and Kyrgyzstan. During its 4-5 years of travel, the team of British Backpacker Society has traveled to more than 80 destinations. It should be noted by the constructive and consistent efforts of the Leader of the Nation Emomali Rahmon the attention of the international community to the tourism resources of Tajikistan is increasing and the image of the country as a peaceful state and having rich tourism resources becomes even more stable. “In the first days of the Year of the Tourism and Folk Crafts Development, announced by the Founder of Peace and National Unity – Leader of the Nation, President of the Republic of Tajikistan Emomali Rahmon, the inclusion of Tajikistan in the British Backpacker Society’s top 20 adventure travel destinations testifies of the development of tourism in our country”, – reported by the Committee on Tourism Development. The team at the British Backpacker Society will continue its journey and travel more destinations. They will compile a new list of top adventure travel destinations of the world in 2018. Backpacking is a form of low-cost and independent travel. It includes the use of a backpack that is easily carried for long distances or long periods of time; the use of public transport; inexpensive lodging such as youth hostels; often a longer duration of the trip when compared with conventional vacations; and often an interest in meeting locals as well as seeing sights. It should be noted that the Government of the Republic of Tajikistan had undertake significant reforms in the area of simplification of stay of foreign citizens, particularly tourists. In particular, an electronic visa system that has been introduced since 2016 has contributed to expand the geography of tourists’ arrival from 109 countries to 146 countries. The next support of the Leader of the Nation on extending for 10 days the registration deadline in the Internal Affairs bodies, which was offered on December 22, 2017 in the annual Address of the President of Tajikistan to Majlisi Oli, is the most timely step that will give a good impulse to the facilitation of the activities of tourism companies, freely stay of tourists and foreign guests, and the broader attraction of tourists in the country.